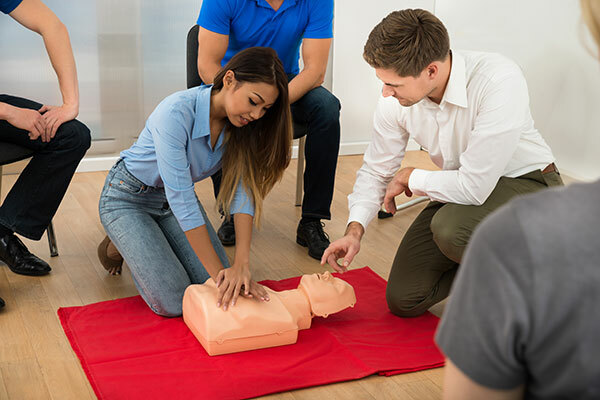 We offer fun and engaging First Aid training covering England and Wales to help you comply with your legal duties and save lives. We also believe that anyone who wants to learn first aid to be given the opportunity, so we have developed a range of courses. A range of basic and advanced first aid courses. First Aid Courses suitable for businesses and the workplace. We offer a variety of awareness courses which can be completed on-line including First Aid and Medical CPD. Our courses are engaging and hands-on, so you’ll remember what you’ve learned. All our trainers have real-life experience and you can expect to leave your course with the skills you need to save a life. We specialise in first aid and medical courses only, because that’s what we know, have experience in and what we are best at. Our courses are run at training centres local to you, or at your own premises. Whichever suits you best. Ready to learn some first aid with us?